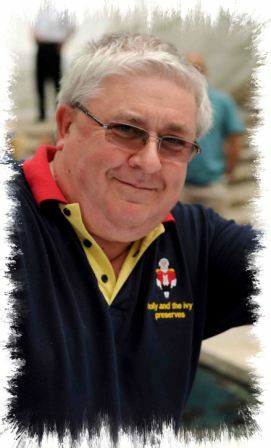 Hello my name is Paul Whitehead co owner, IT & Dispatch Operative at Holly And The ivy and I am pleased to welcome you to my brand new 2015 business WEB Site and look forward to the opportunity to be able to supply you with the finest specialized Chutneys, Vinegar's, Oils, Preserves and Mustard's in the Midlands. All the products produced and sold by Holly And The Ivy are manufactured by myself in my kitchen in Birmingham and at our small production and processing facility in Newnam Bridge, Worcestershire, UK. All my products are ALL handmade in small controlled batches in order to maintain subtle individual flavor and quality which is a real advantage over mass produced products that can be purchased in your local supermarkets. I DO NOT use extracts, essence, additives, coloring agents, malt based vinegar's, flavorings or setting agents MAKING ALL of my products natural and suitable for vegetarians and Celiac's. Also where possible I try to use "local" producers for a much of my materials when in season from fellow producers at the Farmers markets we sell out of. Holly And The Ivy's business is currently run from my family home in Birmingham (which has been inspected & passed by the Birmingham Health & Environmental Department, Warwickshire Farmers Market Association, and our small production and processing facility in Newnam Bridge, Worcestershire, but due to increase demand for my products over the passed 18 months it may not be long before I will be looking for a small incubator unit that will serve as our base BUT be assured that the quality of the product will still remain the focus of the business.